If you want steel magazines for any DPMS/SR25 platform based weapon DPMS is your best bet. Now here’s the thing. A couple years back DPMS had a bad run of magazines and they are still out there. You can tinker with them to make them work or call DPMS and exchange them. DPMS is pretty good about it. Also keep in mind DPMS still lets out the occasional bad magazine. The prior sentences apply. If your nor sure you have a bad magazine buy a PMAG and eliminate that variable. The MAGPUL LR20 308 AR Magazines are simply the most reliable magazine for the DPMS/SR25 platform based weapons. If you have a DPMS that doesnt feed and function properly these magazine will eliminate a faulty magazine. 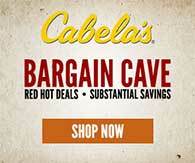 I cannot attest to their durability as they are relatively new to the market. At $20 they are a steal. To the best of my knowledge the only magazines available for the Armalite AR-10 are manufactured by Armalite. MAGPUL PMAGS do not work in the AR-10 platform. Armalite takes some heat from the uninformed about their magazines. During the AWB Armalite switched to modified M14 magazines and initially there were some feeding issues. Today this is not an issue. The magazines and weapons function perfectly. In fact if you have an AR-10 made during the AWB period Armalite will upgrade it to the current standard for use with standard Armalite AR-10 magazines for a nominal fee. Magazine cost was another factor detractors of the AR-10 platform would oftenbring up. Current AR-10 magazines are sold for about the same price as DPMS factory magazines. Lastly Armalite offers 25 round magazines for the AR-10. No other 308 AR manufacturer has been able to pull that off. 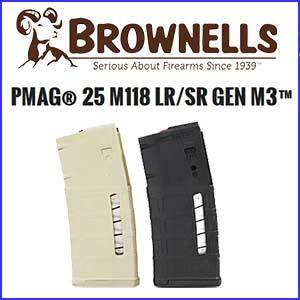 If you want steel magazines for any DPMS/SR25 platform based weapon DPMS 308AR MAGAZINES are your best bet. Now here’s the thing. A couple years back DPMS had a bad run of magazines and they are still out there. You can tinker with them to make them work or call DPMS and exchange them. DPMS is pretty good about it. Also keep in mind DPMS still lets out the occasional bad magazine. The prior sentences apply. If your nor sure you have a bad magazine buy a PMAG and eliminate that variable. 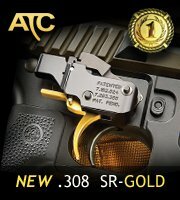 ProMag is a newcomer to the 308 AR field. Typically ProMag makes premium magazines but to date there is little information available. If they prove reliable priced at $29 they will be a great alternative to factory DPMS 308 magazines. I have no idea who Mag-Tec is but reviews are less than favorable at online stores. 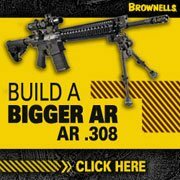 We also have a discussion over at the 308AR.com forum. At nearly $40 they cost more than DPMS factory magazines and twice as much as 308 PMAGS.